This is what I whipped up for lunch today, and it was tasty enough that I thought it was worth sharing. Mix together tuna through salt and pepper to make tuna salad. 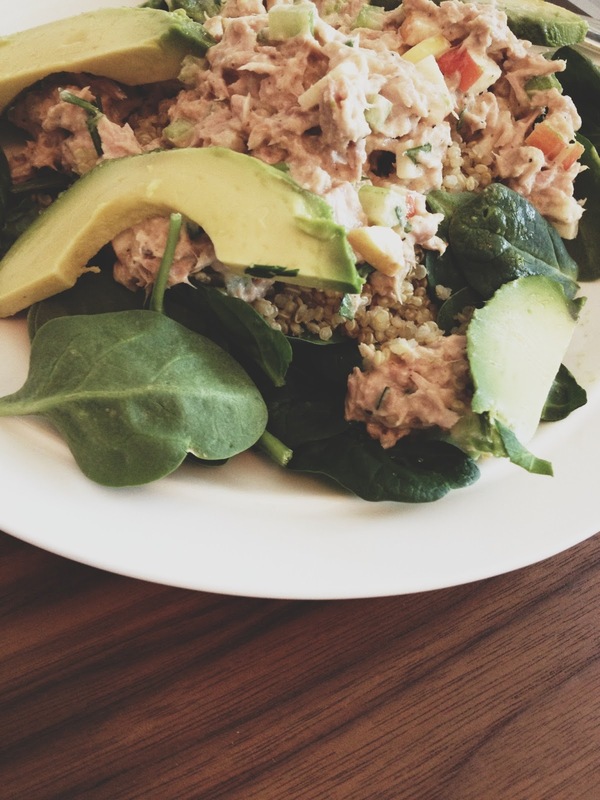 Arrange some baby spinach on a plate, top with quinoa, place tuna salad on top of that, and toss avocado on top. And, it's Friday! This weekend is supposed to be hotter and more humid than I like, but luckily John helps me tremendously by getting out there with me on some runs. We will spend Easter with our grandma (John's grandma). Hope you have a lovely spring, Easter weekend!